It is that time once again. On Friday, the Apple iPhone 6s and Apple iPhone 6s Plus both launch and there will be long lines outside Apple Stores. As usual, there are a number of people willing to camp out early to make sure that they are able to purchase one of the new models before they are sold out. Outside the Apple Store in San Francisco, six neighbors have been waiting on a line since 6pm local time on Tuesday evening, sleeping in the street. 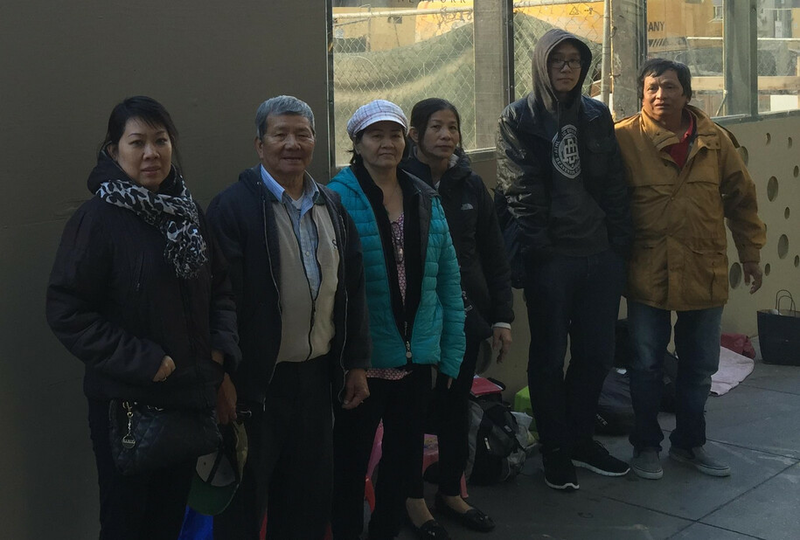 The first two online in San Francisco are 73-year old Viet Nguyen, and 48-year old Huong Dinh. Both are looking to buy the 64GB Apple iPhone 6s in Rose Gold. Dinh says that she will buy one for herself and one for her daughter. Her husband will purchase her current daily driver, an Apple iPhone 6. The store will open Friday morning at 8am local time. Besides the U.S., the new models will launch on Friday in Australia, Canada, France, Germany, Hong Kong, Japan, New Zealand, Puerto Rico, Singapore, the U.K. and in China. 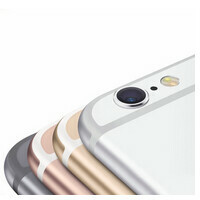 This is the first time that China is getting the iPhone on the initial launch date. The region has become very important to Apple. As of last March, it become the top iPhone buying market in the world. While some of those waiting on line were too late to pre-order the phone and didn't want to wait weeks for it to arrive, there are some who are being sponsored to wait in line. These people are seeded money to buy the maximum number of iPhones, and are also paid for the time spent waiting on line. Once they have the handsets in their possession, they turn them over to the "financiers" who quickly ship them to foreign markets for a quick profit. Last year, many of these opportunists were shipping the phones to China for sale in the black market. This year, with Chinese consumers able to purchase the iPhone 6s and iPhone 6s Plus on launch day, this type of shady activity might not be so prevalent. The annual Apple pilgrimage begins. I don't understand why people have to wait in a line for days to get a phone. When they could reserve the phone or pre-order it or even just wait a months to get it. It's ridiculous! People are ridiculous these days, there are plenty of phones to go around, getting a phone first before everyone else is not an achievement. I'm a Apple fan but seriously the lines?? It's called PREORDER!!!!!! Got mine already today gold 128 gb 6s plus!! Never waited in the lines!! If late preorder delivery no problem it will get there best of all delivery to your doorstep!! Done!!! You must be part of it then. No Mxzy , that's more like you. Lmao. There are People lining up days even weeks for Console games like Halo and COD, This lining up isn't a Apple only phenomenon or does it make people who do line up for phones, games etc idiots, especially if it's in demand and you might be waiting for weeks to months to get one (which was my case last year). Hell I'm lining up again on 12-18-15....STAR WARS 12 midnight advanced screening at the Texas Station Hotel. Yep, i'm planning on lining up for the midnight advanced screening of Starwars too. And so will a lot of people. I did it for all the prequels. It was a lotta fun. I'm lining up at AT&T as usual. Stay safe out there. People get crazy around this time. Lmfao, linning up to buy 2012 phone. How so stupid iFanatics are. My God. Stay safe for what? Not you again. Lmao. That was a weak post. We are talking about lining up, OK. Re-read the article kid. It's a nerd topic now I guess? LMAO!! I simply ignore trash bro. It's easier that way. A 2012 spec phone that has benchmark scores of a 2015 phone. This comment is enough for those who troll until Friday. I'm not there now, that's where I will be tomorrow night. I'm not sure where you live, but some jobs in America don't require an explanation to be off. You simply fill out a PTO (paid time off) form, and if the day is available BOOM. Well I will have to admit PTO!!! But all day there?? Seriously?? But get paid for it is cool but if your alone what do you do if it's toilet time?? Think the person will hold your spot inline?? I live right around the corner, and I don't need anyone to hold my place. Who the hell is gonna kick me outta line? Are you trying to bash me, or did you just not think that thru? There are lots of iLunatics, iFanatics that will cause and rage a problems. You will be by yourself, and them in iGangs. 4-5 vs 1.....? RIP, or should I say BAN..